Secret plans were leaked this week to turn the M56 into a toll road. Regular users of the motorway will be aware of the almost daily disruptions caused by accidents, and council leaders have decided to act on requests to ‘do something about it’ by proposing turning the dangerous stretch of motorway into a toll road. 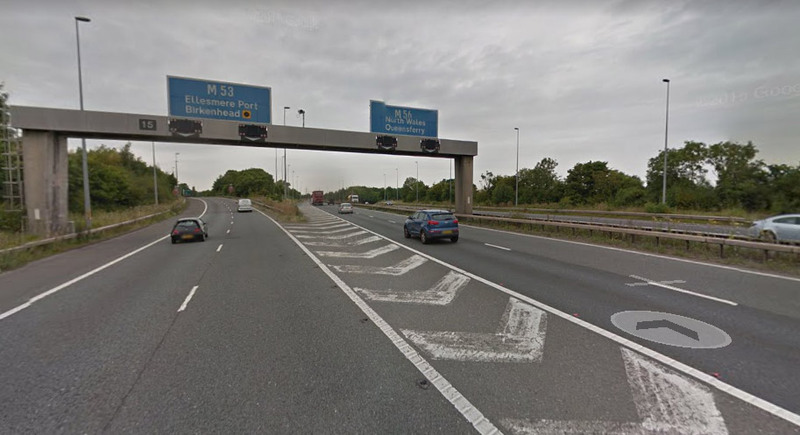 The toll is expected to start from Junction 9, and end just after Junction 15 – the exit for Ellesmere Port and Chester. A petition on my website has now been signed by 392 local residents, who share my concerns about this stretch of the M56 and my frustration at the inaction of the Government. Turning the M56 into a toll road will see it made both safer, and quicker. Funds raised by the toll are to be used to provide extra motorway maintenance, and to cover the cost of policing for the frequent accidents. The toll is also expected to see reduced usage of the road, which should lead to fewer delays, and quicker journey times for motorists. The toll is planned to work the same as the toll for the Severn Bridge, which connects South Wales with Bristol, in that it is only payable in one direction. The toll will be payable heading West, towards Ellesmere Port and Chester, but will be free to travel towards the M6. There is no word as yet on a cost for the proposed toll, or whether there will be some form of ‘fast tag’ technology, but residents of the affected areas will be given the opportunity to have their say in a free-to-attend discussion to be held shortly in Runcorn. Hope this isn’t true. I travel over an hour one way to my place of work everyday wirral to stockport. This already costs me the best part of £300 a month in fuel , a toll would just make this even more expensive. Policing isn’t going to stop accidents. Not to mention the cost to be people who commute along it 2-4 times a day!! Justin needs to do his pole again! Stupid idea. Yeah the motorway would be quieter but they ain’t thought of alt routes have they. They will become ridiculous. Then the people that moan fix the 56 will be moaning there is too much traffic by there homes. Especially the wagons rolling by. My daughter works at Manchester Airport getting up at silly O’Clock most days. She’s not on Great pay so on top of her fuel and paying for a new car to get her there and back every day it wouldn’t be worth her continuing with her job. Just another Scam to get more cash from drivers. Doesn’t need a tool it needs a 50 mile an hour top speed limit from Ellesmere Port to Runcorn + Runcorn to Ellesmere Port + get rid of the 1.6 miles of stupid chevrons between Elton + Runcorn as well !!! Why do they only appear on this particular stretch of the M56 + nowhere else ? It just causes more problems when people break last minute + then speed up when they get past them . Toll on the bridge ? Toll on the M56 yet another tax on the motorist to line the councils pockets . Another tax on local businesses another waste of taxpayers money !!!!! The issue is the huge amount of trucks/lorries on the road. If they were limited to the inside lane only then maybe the faster moving traffic would be able to get past them. Another toll in the area is not the answer in my opinion. If you can remember how clogged up the old Chester Road A56 was before the motorway was built, then that will be nothing to the A roads when people refuse to pay a toll and travel once more on the old roads which would be unable to take that volume of traffic. My road tax is over £500 a year, now I’ve got to pay in the tunnels or the Runcorn bridge before paying again to use a short section of motorway? Get a grip. Road tax or toll, not all of them. And watch Frodsham and Helsby turn into mini motorways as everyone avoids the tolls. The whole area are money grabbing crettins including HBC..
Absolute nonsense. The M56 is owned and operated by Highways England, not local authorities. They’re managing expectations before the new toll bridge opens. Can’t see the Chester Bugle lasting long by running such ridiculous stories – lacks credibility. Ouch James. Questioning our credibility. That one hurts. As it should. It’s downright atrocious if I do say so myself. I’ve yet to find a single legitimate piece of news here. There’s no hope for the Chester Bugle, and that’s why the level of traffic this one got is a fluke. The Chester Bugle cannot keep up. THIS IS DISGUSSTING! HOW DEAR THEY PUT A TOLE ON HERD WRKING PEPLE!!! I’ME ABSOLUTLY FUMMIN BABE’S!! !